Advocates for undocumented students met with University President James W. Wagner and Special Assistant to the President Evan Goldberg on Wednesday to discuss financial aid opportunities for incoming Emory students who live in the United States without citizenship. The advocates included College senior Andy Kim, co-founder of the undocumented student advocacy group Freedom at Emory University, and Valentina Garcia and Sergio Delgadillo, both high school graduates and students at the Georgia-based Freedom University, an organization for undocumented student advocacy offering college-level classes and leadership training. The three had also met with Wagner three weeks earlier. Rather than give a half-hour presentation, as they did at the previous meeting, the three student advocates, joined this time by College sophomore and Freedom at Emory member Lamija Grbic, presented and discussed the short- and long-term actions the University could take to address the needs of Emory’s incoming undocumented students and future undocumented applicants for about an hour, according to Kim. The sort of financial aid fund the group is looking for would require a donor to make an endowment at least 20 times the annual payout, Wagner wrote in an email to the Wheel. The University would then invest the endowment with the goal of earning five percent interest each year to ensure the fund’s longevity. The donor, not the University, designates the purpose of the endowment, Wagner wrote. The University also must take into consideration other groups ineligible for financial aid, like international students, he added. In addition to financial aid, the group of students pushed the University to elucidate, through its website, the fact that the University accepts students living in the U.S. without citizenship but currently does not offer them need-based aid. “We want admissions and financial aid staff to be trained in the intricacies of the process,” Kim said. 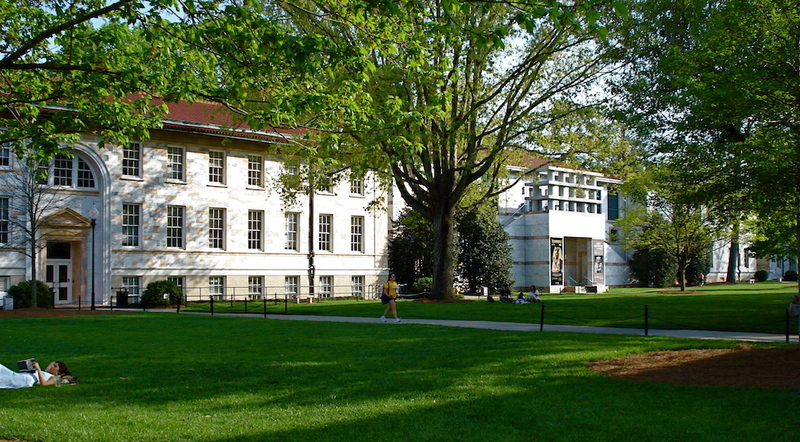 The group also emphasized Emory’s potential status as a leader in its home state, where the Board of Regents of the University System of Georgia banned undocumented students from applying to Georgia’s top five public schools in 2011 and barred them from applying for in-state tuition in the same year. “It’s going to be a long process, which is a good thing because we have a lot of things to work out,” Kim said. He noted that undocumented students opening acceptance letters and meager financial aid packages this spring represented an “immediate need” for the University to address. “It’s great that other schools set up these working groups [for aiding undocumented students] and everything, but we can’t let those students fall through the cracks,” Kim said. For their next meeting, which has not yet been scheduled, the group plans to include Senior Vice President and Dean of Campus Life Ajay Nair and Provost and Executive Vice President for Academic Affairs Claire Sterk. A later meeting will include Senior Vice President of Development and Alumni Relations Susan Cruse, according to Wagner. The upcoming meeting will focus on helping undocumented students get their footing once they enroll at Emory, according to Kim. “If we really want this to be a comprehensive plan, we need to address undocumented student needs while they’re on campus,” Kim said. This plan, he added, would include health care, the Office of Multicultural Programs and Services and campus employment assistance. Grbic, the other Freedom at Emory student, who joined the organization after volunteering as a writing tutor at Freedom University last fall, wrote in an email to the Wheel that the group hopes to meet next time with administrators who could help iron out plans for financial aid funding.